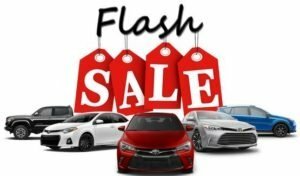 FLASH SALE this weekend at Haley Toyota Richmond! Fill Out The Form Below To Receive Your Own Personalized Flash Sale Offer on the 2018 Corolla. Prices as low as $16,215 on LE models!